Sven went into the arena to face Austuo. He lets austuo go first. Aestuo's cape billowed as he walked slowly into the arena. His staff sat at his waist, balanced precariously upon a single strap, ready to be pulled off at a seconds notice. His robes fell right down to the floor, mirroring the length and colour of his cape. A small gold circlet sat upon his head - a symbol of his office. Ever since his father had died, he had inherited his position of General of the Fire Nation's army. And he would do his Fire Lord proud. It had been a long time since the youth from Chung-Ling city had engaged in battle. The past months had been spent planning action after action, tracking the Avatar's movement across the nations. 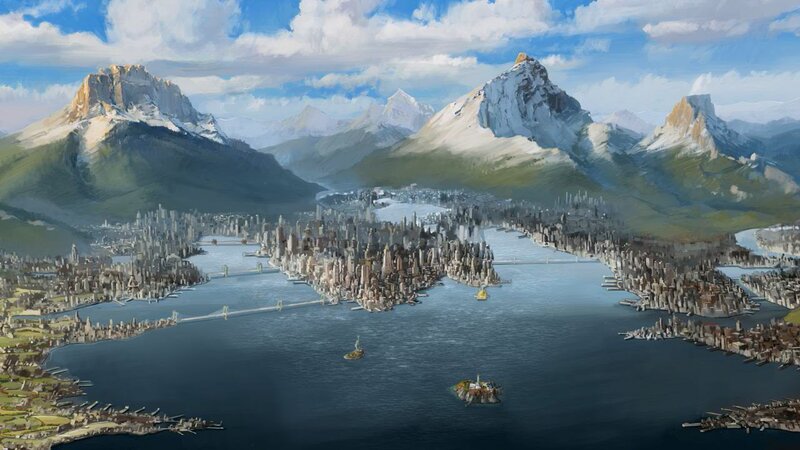 The scouts reports led him to believe that the Avatar was currently in Omashu in the earth Kingdom; at least, for now. A contingent of Fire Nation specialists had already been dispatched, and would soon be capturing the rogue Avatar; dead or alive. As the firebender entered the arena, he spotted his opponent instantly. He knew nothing about the man, but already he was sizing him up for weaknesses. His fingers began to twitch as his head formulated plans and ideas for how to attack, yet also how to defend. A firebenders offense was only as good as his defense, after all. Without any kind of forewarning, Aestuo thrust his hands forward. In one swift motion, his cape fell to the floor and streams of flames erupted from his wrists. They swirled around for a few seconds before rocketing towards Aestuo's opponent, the very heat of them burning the moisture out of the air. Sven made a force field of air around him, quickly dispersing the flames. He then shot a sphere of air straight toward his head. Fire nation general, Sven thought. I would expect better. Sven then shot a crescent of air scooting along the ground, which would knock him off his feet. Aestuo clicked his neck as he saw the air bender preparing a sphere of air to throw at him. Foolish move. As the sphere came at the airbender, he rolled backwards, allowing the sphere to pass over his head and crash harmlessly into the wall behind. He stood back up curtly, brushing down his robes. As air flew once more at Aestuo, he couldn't help but suppress a grin. Foolish air benders - they were all the same. His hand moved in a swift arc, grabbing his staff from his side and folding it in front of him. With a slight twist of his wrist it began to spin, flames leaping off it's ebony surface. As the air approached it, Aestuo held his ground, pushing back against the unrelenting force. With a roar, however, he pushed on. Taking a step forward, he spun the staff round once more before deflecting the air off to one side. With a smile, he took another step forward, bolstering his position further. "You think that will work? You're even more foolish than I thought," Aestuo said, before spinning his staff above his head. Flames burned behind his eyes as he spun, and heat began to radiate from his skin. "If you don't like the heat..."
Aestuo slammed his staff into the ground, causing a huge wave of flames to pour out from the connection. It rose high into the sky, right up to the ceiling, and began to move towards Sven. 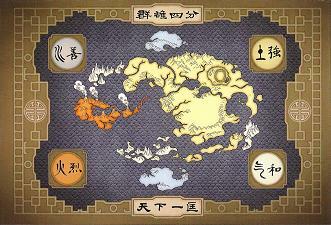 An engulfing attack, and one that had defeated many benders before. "Stay out of the kitchen." Sven saw the large wave of flames and flinched. He had never seen anybody this powerful. By the time he got his mind back together, he didn't have time to do a very powerful defense. So he did the age old airbending technique, and created a ball of air that surrounded him. Although it kept most of the fire out, some got through his last-minute defenses. OW! he thought, THAT HURTS LIKE HELL!! No matter how hard he tried to hide the pain, it still showed. But even if he looks like he is in pain, he can atleast say he isn't. "Oh, I wouldn't really call this heat." After another one of his arrogant remarks, Sven started rapidly spinning his hands in circles, creating a tornado. Even if it didn't hit, it would still give him a chance to catch his breath.